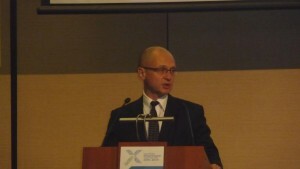 MOSCOW – Sergei Kiriyenko, head of Russian state nuclear corporation Rosatom, offered words of thanks to NGOs and foreign partners for their assistance in identifying and liquidating the Soviet Cold War nuclear legacy. He noted that Russia’s first Federal Target Program for Nuclear and Radiation Safety had reached all of its goals and then some. “Now we can’t imagine the development of the nuclear industry without cooperation with the public sector,” said Kiriyenko, speaking last week at Moscow’s forum devoted to the 70th anniversary of Russia’s nuclear industry, which wrapped up on Monday. “In the nuclear industry, the issue of openness, transparency and acceptability for society carry a global character,” he said. The endorsement of NGO cooperation from the head of Russia’s nuclear industry at a time when ecological groups are bearing the brunt of official reprisals under Russia’s ‘foreign agent’ law was encouraging signal to many environmentalists. But Alexander Nikitin, chairman of the Environmental Rights Center Bellona, suggest that massive cleanups of the Russia’s radioactive history were unlikely to be a point of contention between the nuclear industry and the public sector – which has fought for such programs for decades. The forum gathered some 200 delegates from 10 countries, including representatives of 70 different ecological organizations. Kiriyenko expressed gratitude to environmental activists and international partners for their assistance in nearly totally dismantling the Northern Fleet’s derelict nuclear submarines. By Kiriyenko’s count, some 203 submarines were decommissioned from the Russian Navy and 197 have over the past decades been dismantled. By 2014, Russia’s Far Eastern Pacific Coast was entirely cleared of spend nuclear fuel accrued by Russia’s Pacific Fleet. Beginning in 2002, this spent fuel was hauled out of the region by 41 trains carrying 23,616 spent nuclear fuel assemblies with a total radioactivity of 84 million Curies. Kiriyenko also said Rosatom had come to grips with issues of spent nuclear fuel stored onsite at nuclear reactors that’s filled plants to capacity. Such overloads could become a serious problem, leading to shutting down nuclear power stations for lack of space to store their used fuel. According to Rosatom data from 2013, Russia had 23,000 tons of spent nuclear fuel stored mostly onsite at nuclear plants. Kiriyenko said this meant that in 2008, Russia’s widely dispersed nuclear power stations hosted 96 percent of the nation’s spent nuclear fuel. By 2015, this figure has nosedived to 46 percent, said Kiriyenko, thanks to increasing spent fuel transport to the RT-2 facility in the closed nuclear city of Zheleznogorsk near Krasnoyarsk. Unlike the Mayak Chemical Combine, a contaminated flashpoint in the Southern Urals, which has for decades served as Russia’s only reprocessing point, Zheleznogorsk can store spent fuel for VVER-1000 and Chernobyl-type RBMK reactors. Mayak is only equipped to store spent fuel from VVER-440 reactors and nuclear submarines. 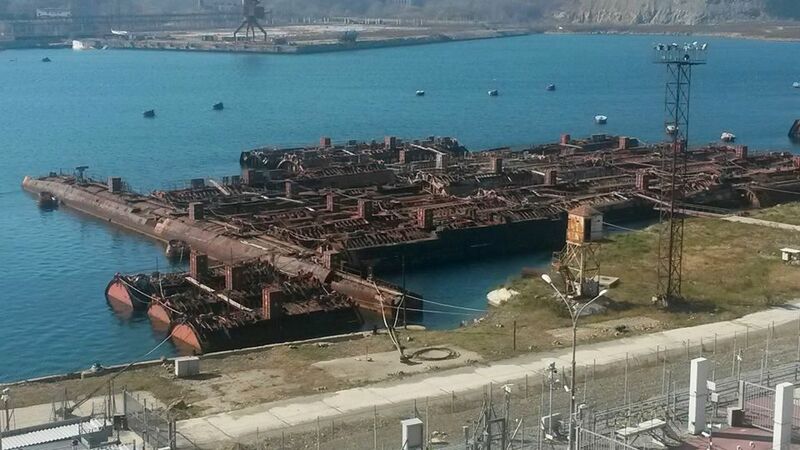 On top of the RT-2 unit’s storage capacity of 50,000 tons, per unit costs for storing spent fuel at the centralized facility has fallen from 538 rubles ($8.30) per kilogram in 2012 to 384 rubles ($5.90) per kilogram in 2015. 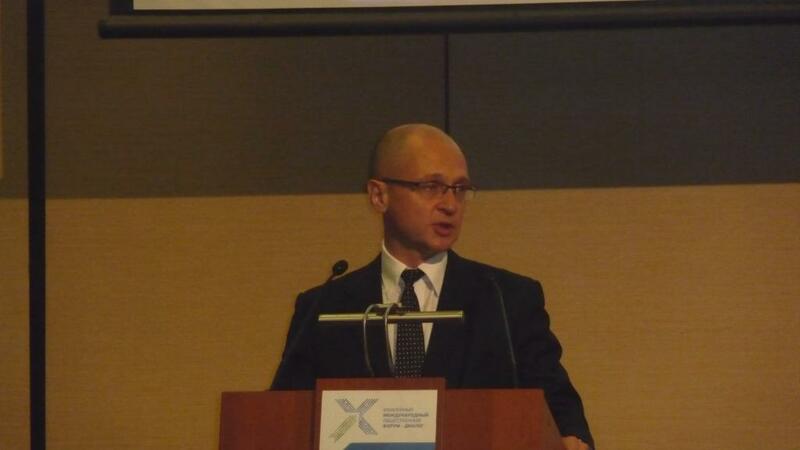 Kiriyenko said Rosatom was aiming to slash that cost even further to 96 rubles ($1.50) by 2017. Kiriyenko added that as of 2007 assumed control of 15 radioactive waste storage facilities run by the defunct Radon, which are now the responsibility of RosRAO, Rosatom’s nuclear waste handler. Only eight of these sites remain operational, but unit costs for storing radioactive waste at these facilities has fallen from 5,330 rubles ($83) per cubic meter in 2012 to 3,800 rubles ($58) per cubic meter in 2015. But Kiriyenko said Rosatom still has a few large-scale issues to deal with, which are mainly liquidating still-extant radiological hazards and other accrued problems. And further legislation needs to be developed to provide a legal basis and infrastructure that will make solving these riddles easier. 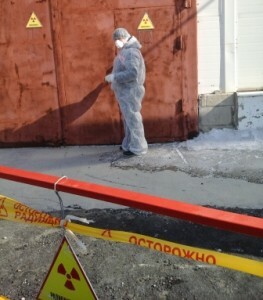 Russia’s second Federal Target Program for Nuclear and Radiological Safety until 2030 was developed for this purpose. The Federal Target Program will cost a total of 563 billion rubles ($8.6 billion) of which 394 billion rubles ($6 billion) will come from the Russian federal budget. But the most important accomplishment coming of the forum was Kiriyenko’s assertion that a mechanism for working with NGOs had been built. Bellona’s Nikitin, offered more staid appraisal of NGO-Rosatom cooperation, saying relations between the nuclear industry and the public sector are never smooth in Russia or anywhere else. He said that Rosatom’s work at eliminating the country’s nuclear legacy is something greeted positively by the public.